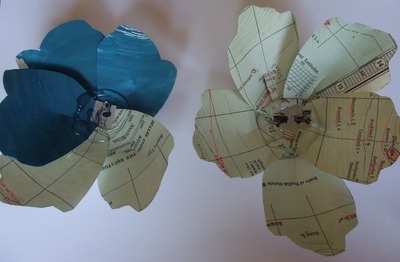 This is a slightly fiddly, but beautiful way to make paper flowers. You can make it with the kids in one go, or spread it out. 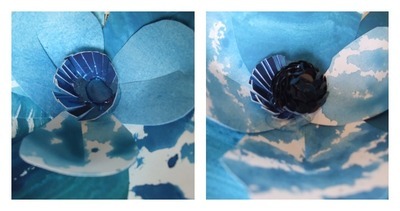 I made mine in three shades of blue to pay tribute to this years Melbourne cup winner; Tres Blue. 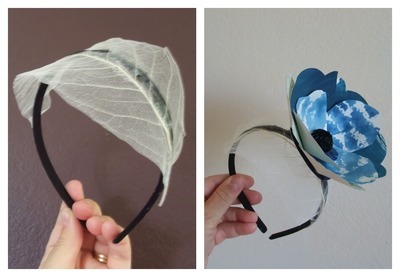 Glued to a headband and voila, a fascinator! Find a few different colours/ textures of paper. 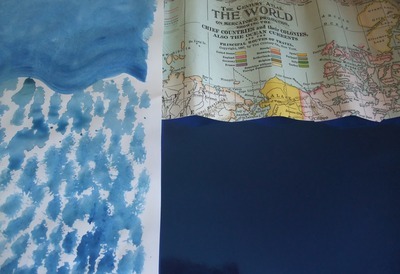 I used a sheet of craft paper I painted with watercolours in blue, scraps of a blue map and a sheet of blue shiny cardboard. 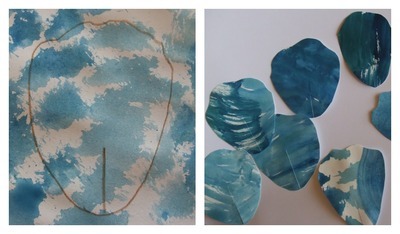 Cut out petal stencils from two of your chosen craft papers. Use the firmest (shiny cardboard) as the circular base to glue the petals too, and also as the flower centre. Glue petals one at a time onto the firm circular base, securing the centre of the petal with tape or stapling it. First make the outer layer, then the inner. 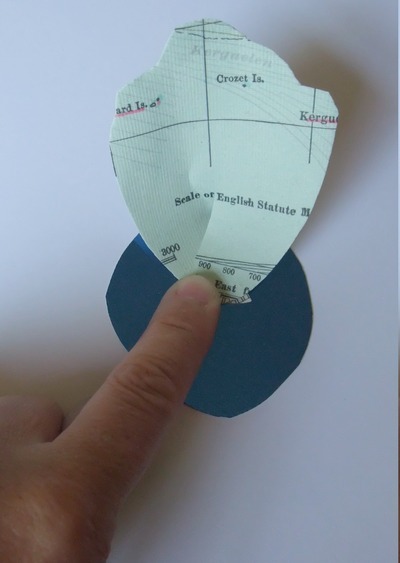 Cut out a small circle for the centre, making small cuts around the circle which you fold up. 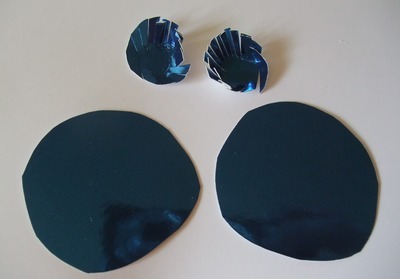 Glue a button or shiny black sequined half ball in the centre. Glue a craft feather to your headband. 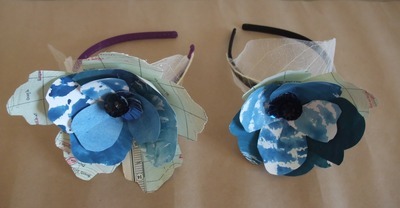 Then glue your paper flower on top. Thankyou, very enjoyable to make too.